Expertly restored to start a new life of adventure. 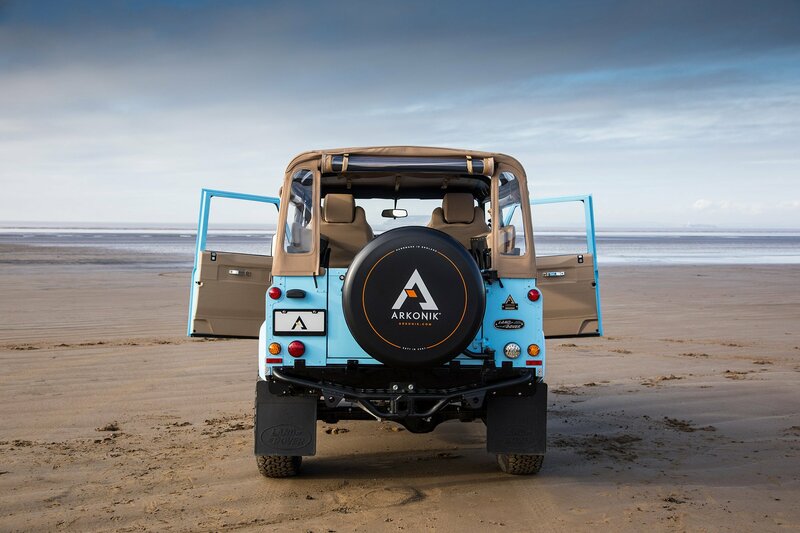 Founded in 2007, Arkonik expertly restores and customizes British Land Rover cars for a global clientele. 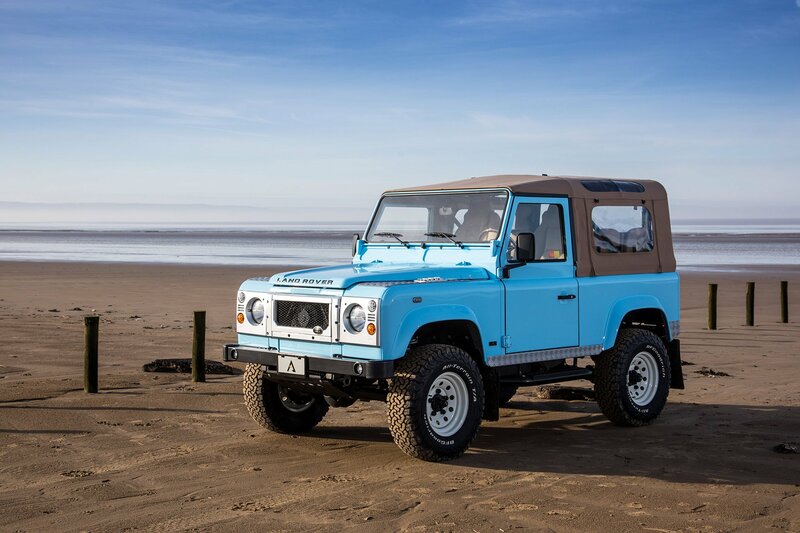 The company uses 15 to 25-year old vintage D90 and D110 models for all of its builds. While bringing the cars back to their former glory, the brand also upgrades them to become better than ever before. 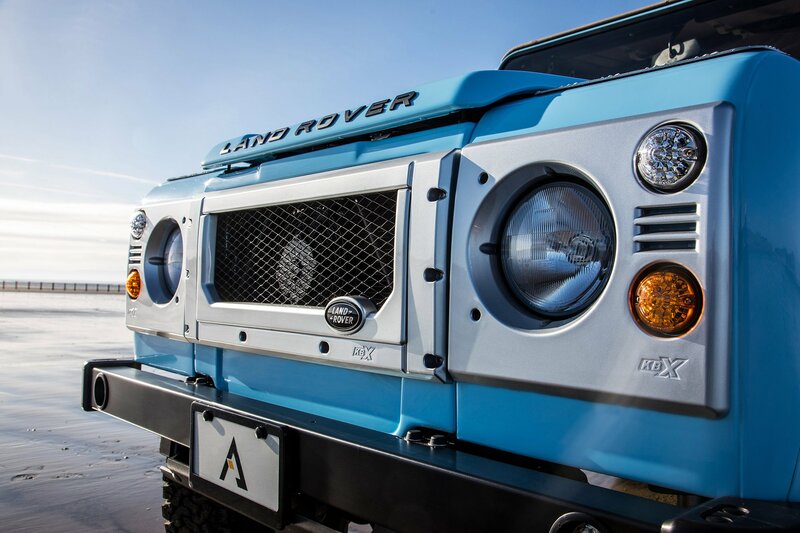 The custom Land Rover specialists at Arkonik offer three options for the restoration projects. 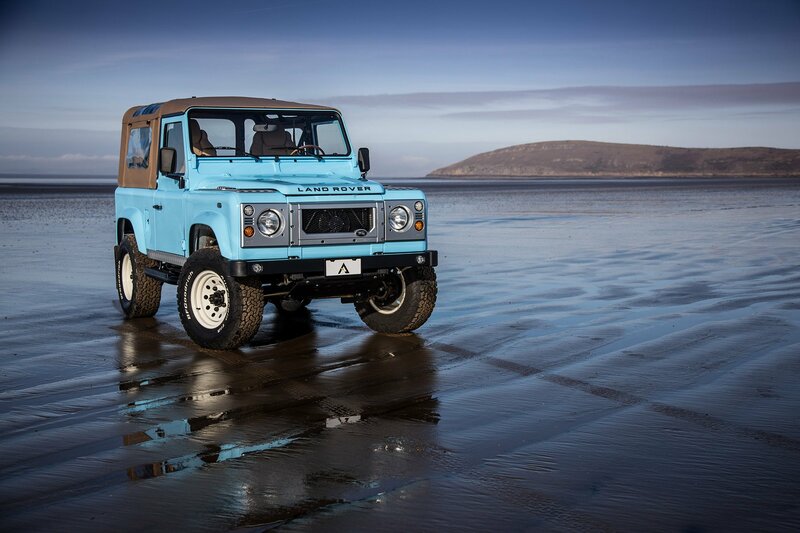 Origins preserves the character of the Defender intact, while Editions offers modern features to enhance the originals. Finally, the Bespoke service allows the customer to create a personal vision and add custom details to the vehicle. 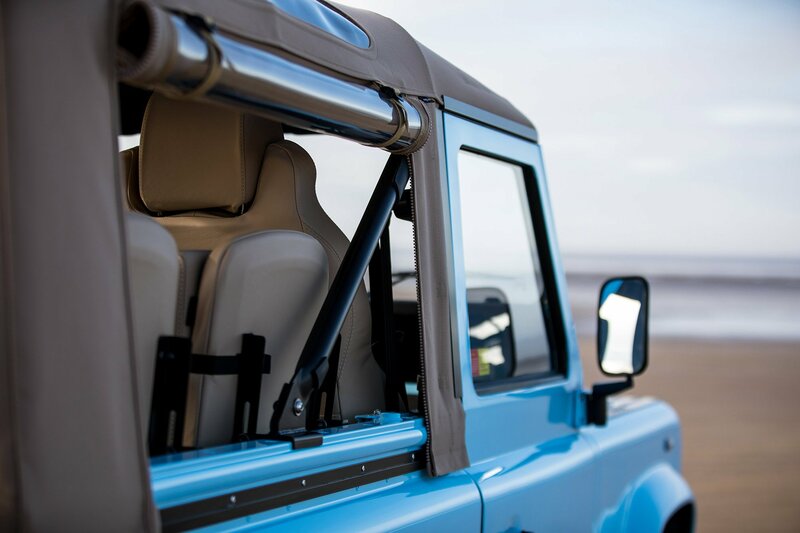 Part of the latter category, this custom Defender 90 soft top maximizes the potential of the Land Rover. 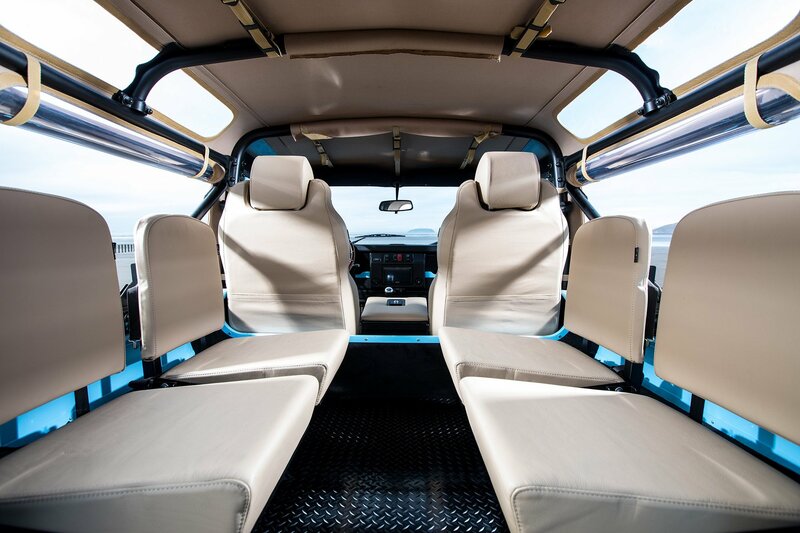 Designed in collaboration with the client, the car features an array of upgrades, tech features, and premium materials. The restored car boasts a tan XS soft top and white modular 16’’ wheels as well as BFGoodrich® AT tires. The front grille and wing-top vents have a Zambezi Silver finish, while the steering and front differential guard boast a Raptor coating. A Terrafirma® suspension with a 2″ lift kit completes the upgrades, along with side and rear steps and front bumper DRLs. 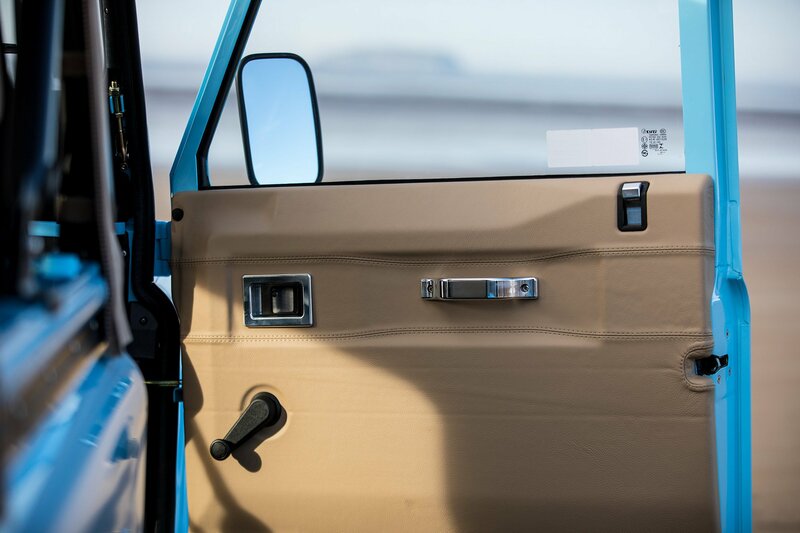 Inside, the comfort levels shoot through the roof thanks to the Alpaca leather trim and Elite heated front seats. Other features include four tip-up seats in the load area, an Alpine® sound system with Apple® CarPlay, and an Elite Loc box. Finishes also include an Evander wooden rim steering wheel, alloy gear knobs, and a leather stitched gear stick. 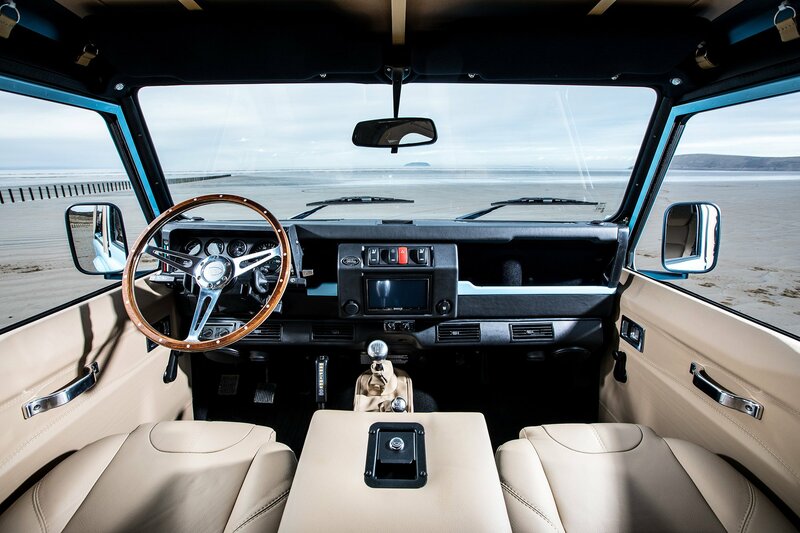 This custom Defender 90 recently went to its new home, on Nantucket Island, off the coast of Cape Cod. 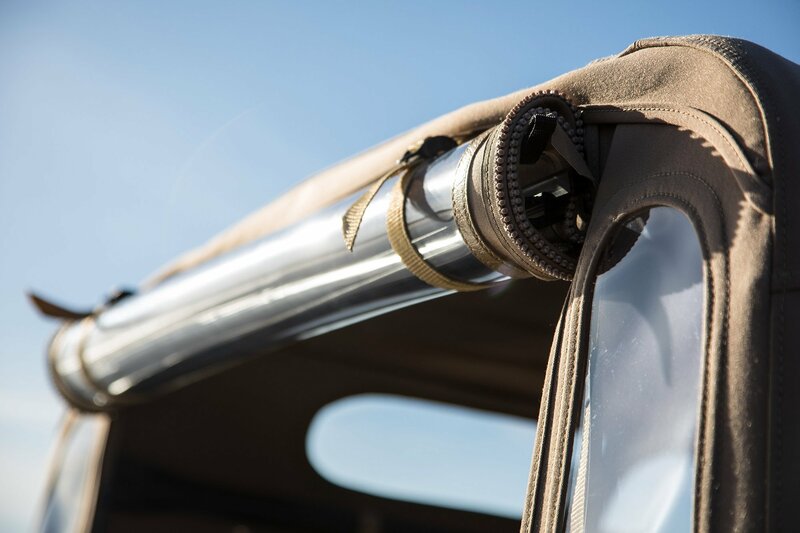 “There are some remote fishing and surfing spots there that are only accessible with a solid four-wheel drive (hence the enhanced suspension). She will get wet, sandy, and be carrying around happy people. With surfboards, kayaks, wetsuits, fishing poles and an occasional striped bass tossed in the back now and then,” says owner Mr. Phillips. Images courtesy of Arkonik.